Dairy Kingdom supplies high-quality whey powders and whey derivatives for industrial uses. Definition: Whey is a by-product of the cheese manufactured from cow’s milk. It contains useful components such as sugars (lactose), proteins, vitamins and minerals. 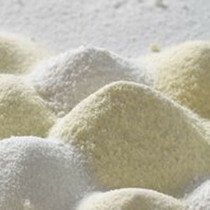 The whey can be evaporated to make a powder and different techniques can be employed during the drying process to extract, separate or reduce the components into a wide variety of different whey powders: products such as WPC, lactose, demineralized whey powder and whey permeate.